On Friday’s Mark Levin Show, Ben Ferguson from Blaze TV fills in. George Stephanopoulos gives Michael Cohen the ultimate softball interview so that he can trash President Trump on TV. This is another attempt by the left and the media to take down the president. Michael Cohen didn’t get in trouble for anything he did on Trump’s campaign, per se, it was for the personal payments made for non-disclosure agreements. 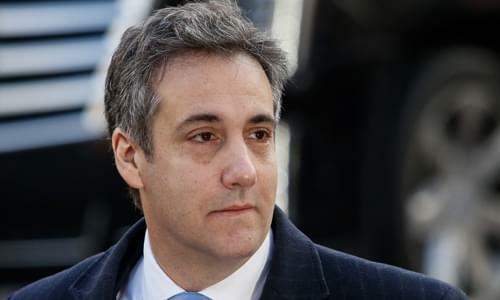 Cohen knew that this was not illegal but did nothing to fight it, in fact he cooperated and took a deal because the feds had him on several crimes related to his business dealings. Trump says that Cohen is a lawyer and was paid to follow the law and do the right the thing. Then, the Washington Post reported that a 7-year old Guatemalan migrant girl died in border patrol custody from dehydration. This tragedy happened as a result of her parents taking the dangerous caravan journey and not feeding the child or giving her water for several days. Hours later, Border Patrol took custody of the child and, sadly, despite their best efforts to save her life they were unsuccessful. It’s disgraceful that Washington Post is misleading readers with such a headline. The podcast for this show can be streamed or downloaded from the Audio Rewind page.